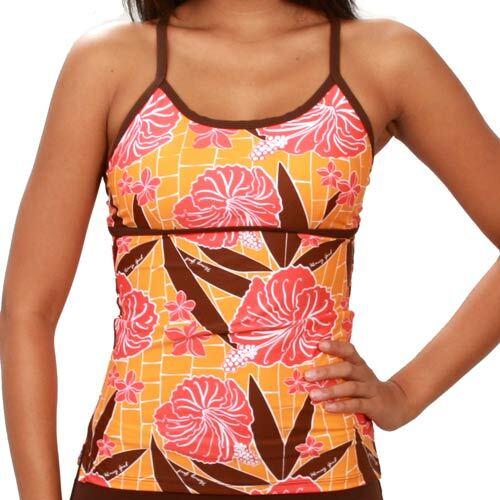 Jaimie Reversible Sport Top Maitai Raisin. Print: Maita’i, Color: Raisin, reverses to Solid Deep Plum. Straps cross and tie in back. Lightly padded (padding sewn to an inner lining so it doesn‚’t scrunch up).